At the beginning of the summer, my garden looked quite nice. A little fence all around and everything neatly planted. But, as summer went on, and mosquitoes drove me out, weeds started setting in. Plus, a large pumpkin vine that came up on it’s own is now trying to take over. If that isn’t enough, a large woodchuck has somehow found his way under the fence and is making my garden his home. Unfortunately he has decided that he especially likes green beans and zucchini. 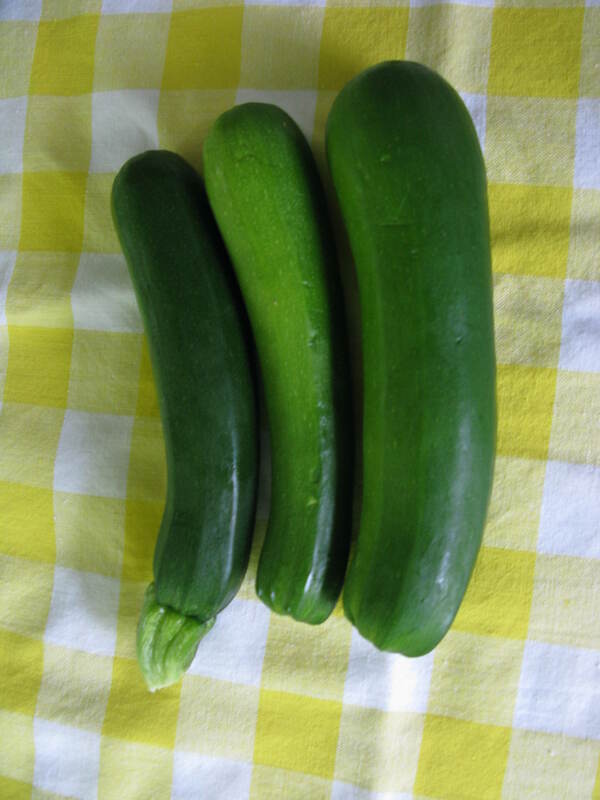 Before he made his entrance, however, I had quite a few zucchinis. I posted this recipe earlier in combination with the scalloped corn recipe. I decided to separate it now and give it it’s own post. This recipe is not from my grandmother’s recipe box, but from my mother’s. This is a recipe my family has enjoyed for years and I hope you will too. I like to make many loaves when the zucchini is fresh and freeze them. Then, when I am going somewhere and need something to share, I can just pull it out of the freezer and take it along. I am always asked for the recipe. Pour into greased two loaf pans. Bake at 350 degrees for 45-60 minutes. 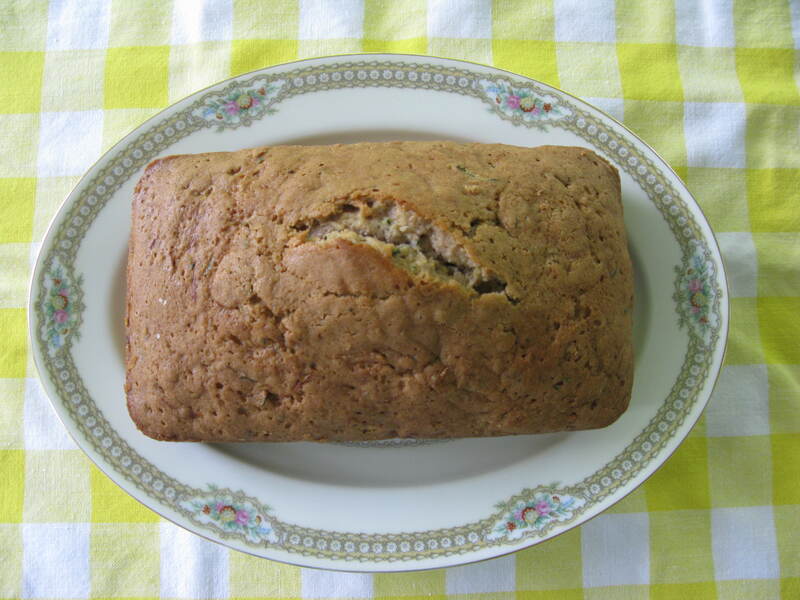 This entry was posted in bonus recipe, Breads and tagged baking, Bread, farm cooking, garden, garden cooking, homemade, scratch cooking, zucchini, zucchini bread by GrandmothersRecipeBox. Bookmark the permalink.